We all love a good story with interesting characters and plots and that’s exactly what today’s complex supply chains are, a full rich storyline that has a beginning, middle and end. The starring actors are the wonderful fiber producers and manufacturers around the world providing virgin or recycled cotton, wool, cashmere, leather and silk. Innovative technology platforms are now available to capture the data points that provide a detailed script that can be told in an exciting way to consumers about the products they are buying. However, today’s consumers want to know the facts that shape these stories. Their level of curiosity about where materials are sourced, and how goods are made, has risen in recent years to the point that nowadays consumer demand for information extends to wanting to know supporting data points in an effort to clearly understand the journey a product has travelled from the start to the finish line of retail, and all of those who have taken part in that process. Consumers want stories they feel good about sharing with their community. Many storylines in the news today feature the word “uncertainty,” which is not what consumers want to hear about their purchasing decisions. How do we take out the uncertainty out the product script? Technology can help eliminate the uncertainty and risks in supply chains. While holograms, RFID, have utility, in many cases it is not possible to apply them directly onto the fiber or material itself. The good news is that brands have access to the most advanced and commercial systems that enable them to give “identity” to the product itself, both physically and digitally. Many materials cannot be easily distinguished by visual inspection, and in a finished good, it is often difficult to deconstruct it to analyze the raw materials used. This is why molecular tagging can help. By applying a unique tag at the point of origin, virtually any material like cotton, recycled PET, wool, or even hemp, can be verified as they are processed and made into a finished product. 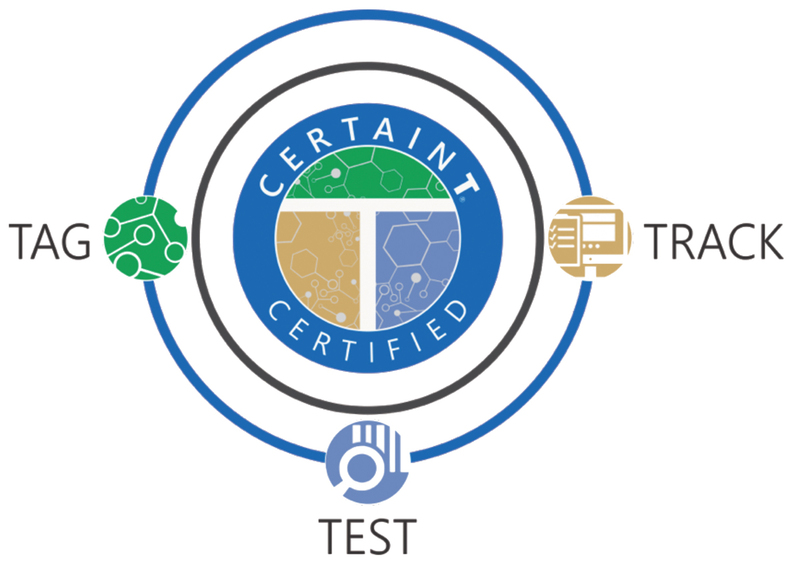 Applied DNA Sciences has a unique platform based on molecular technology, and it is applied through its CertainT platform of Tag, Test and Track modules. The system is not just being applied to natural fibers; it’s also being used with manmade fibers. In fact, it’s being used to tag in large scale, millions of pounds of recycled polyester such as PET to make a wide range of textiles for the home goods market. CertainT is about collaboration with brands, retailers and manufacturers. All share the same goals that are to assure quality, consistency and an exceptional experience for their guests. Through CertainT, companies can continue to grow revenues, differentiate their brands and products in the marketplace where proof of sustainability with traceability is a strong storyline that has increasing appeal to today’s educated consumers. A recently launched brand called REKOOP™ is using recycled water bottles as a key raw material in its new line of sustainable and traceable bed sheets. Manu Kapur, President and CEO of GHCL, the company that owns the REKOOP brand, commented recently on CertainT stating, “Teaming up with Applied DNA and using its platform allowed us to create REKOOP and launch a new line of bed sheets that potential customers are very excited about. Connecting the physical tagged, and tested product data points with other digital assets provides accountability across the supply chain. Recycling 1 ton of PRT containers saves 7.4 cubic yards of landfill space.For a single pound of PET utilized, energy usage and greenhouse gas emissions are dimensioned by 84% and 71% respectively.The energy saved by recycling a single plastic bottle is enough to power a 60 watt light bulb for 6 hours90% less water is used in making recycled polyester versus virgin polyester. ‍Consistent with global sustainability and the circular economy, GHCL presents REKOOP, the first fully source-verified recycled PET bedding product line, using CertainT™, Applied DNA’s proprietary traceability system. “This technological system goes way beyond a paper or system-oriented traceability and provides customers globally with the highest levels of confidence in the origin of their goods,” said Manu Kapur, President & CEO – Home Textiles, GHCL, the parent company of REKOOP. “It’s not only about the cost efficiencies, but the value that the supply chain partners bring to a “branded supply chain” – one that cares about the brand from the raw material, to the yarns, fabrics and finished goods,” explains Kapur, adding, “It’s not enough to create a brand downstream and “trust that the claim will be right.” It’s also not enough to rely on paper certificates to communicate to the consumer that the label and its contents are authentic. In this new age of information transparency, it takes the entire supply chain to work in a unified and cohesive way to bring about the “truth in materials” that today’s consumers demand. 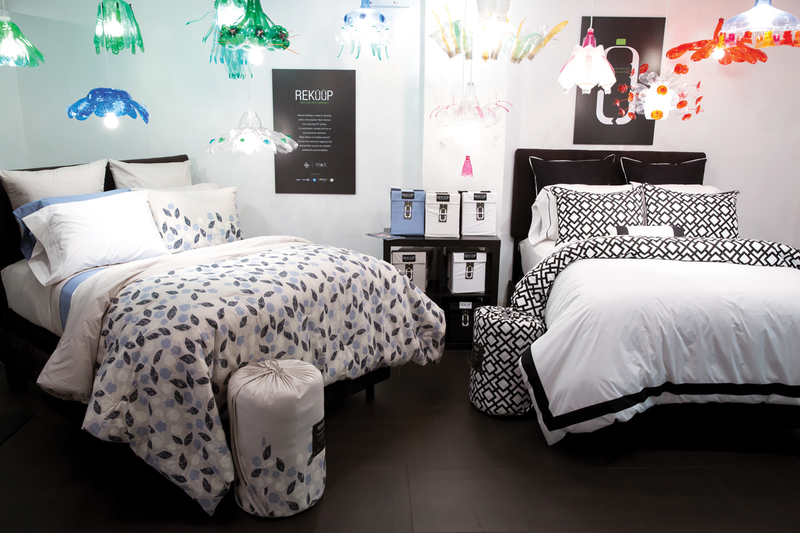 The new REKOOP bedding line is a blend of cotton and polyester fiber from recycled PET bottles. 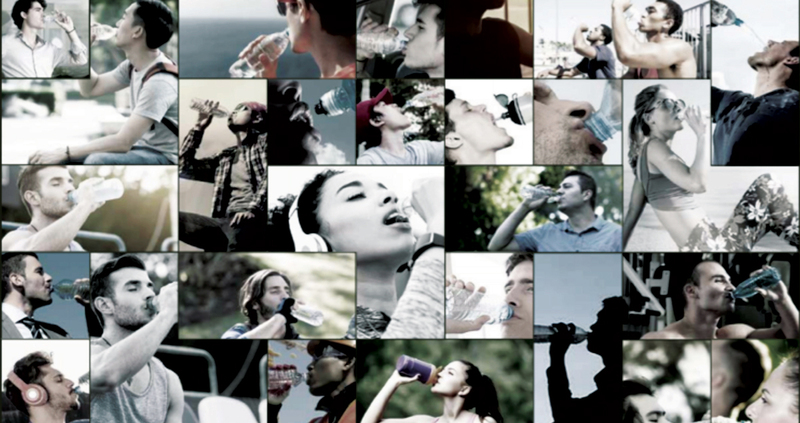 The product is sustainable, durable and free of hazardous chemicals. What makes the bedding even more special? Molecular tagging of the recycled fiber secures its complete authenticity and traceability throughout the supply chain. REKOOP as a concept aims at using recycling as a means to make the world a happier and healthier place. Recycling lowers the demand for petroleum extraction, reduces the emission of greenhouse gases and decreases the overall carbon footprint. It also aids in landfill reduction and conservation of water, energy and the environment. REKOOP uses the integrated CertainT platform from Applied DNA Sciences for verifying authenticity from source to retail. The platform is designed to tag, test and track synthetic fibers to provide transparency, traceability and trust throughout the textile supply chain. The signature tagging is applied to the PET pellets at the beginning of the production cycle. It gives the customers power to verify and track each and every pellet that goes into the production of the bed sheets and makes sure that it is safe and authentic. REKOOP is a truly innovative concept. Applied DNA Sciences (Applied DNA) is a NASDAQ-traded (listed as APDN) biotechnology company headquartered in Stony Brook, New York and provider of a molecular DNA technology platform that allows companies to authenticate materials and claims associated to end products. Applied DNA has expertise implementing its CertainT™ platform in several core industries: textiles and apparel, agricultural, pharmaceuticals, and personal care. The platform is already protecting millions of pounds of cotton, polyesters, recycled PET, and specialty coatings traveling through the supply chain to retail shelves. The platform is also being used to tag, test and track leather as a pilot program with the British Leather Consortium.